Nationality: Burkinabe. Born: Banfora, Burkina Faso, 21 January 1954. Education: Primary and secondary education in Burkina Faso; attended film school at the Institut Africain d'Education Cinématographique in Ouagadougou; studied film in Kiev, Ukraine; graduated from the Institut des Hautes Etudes Cinématographiques in Paris, 1985. Awards: Short Film Prize, FESPACO (Pan-African Festival of Film and Television, Ougadougou), for Poko , 1981; Director's Prize, Carthage Film Festival, and Grand Prize for Short Film, FESPACO, for Issa le tisserand , 1985; International Critic's Prize, Cannes Festival, Special Jury Prize, FESPACO, and Sakura Gold Prize, Tokyo International Film Festival, for Yaaba , 1989; Special Jury Grand Prize and Critic's Prize, Cannes Festival, 1990, and Etalon de Yennega, FESPACO, 1991, for Tilaï. "Africa through African Eyes: An Interview with Idrisaa Ouedraogo," interview with Françoise Pfaff in Black Film Review , Winter 1987. "Ouagadougou: Assessing a New Generation of African Filmmakers," interview with William Fisher in Sight and Sound (London), Summer 1989. "Have You Heard the One about . . . ?" interview with A. Gallone in Ecrans d'Afrique , vol. 6, n. 19, 1997. Pfaff, Françoise, Twenty-five Black African Filmmakers , New York, 1988. Malkmus, Lizbeth, and Roy Armes, Arab and African Film Making , London, 1991. Diawara, Manthia, African Cinema: Politics and Culture , Bloomington, 1992. Shiri, Keith, Directory of African Film-makers and Films , Westport, 1992. Ukadike, Nwachuku Frank, Black African Cinema , Berkeley, 1994. Russel, Sharon, Guide to African Cinema , Westport, 1998. Baecque, Antione de, "Portrait: Idrissa Ouedraogo," in Cahiers du Cinéma (Paris), May 1990. Klawans, Stuart, " Tilai ( The Law )," in The Nation , 10 December 1990 Forbes, Jill, "Yaaba," in Sight and Sound (London), Winter 1990. Magny, Joel, "Idrissa Ouedraogo," in Cahiers du Cinéma (Paris), May 1991. Ukadike, N. Frank, "Yaaba," in Film Quarterly (Berkeley), Spring 1991. Orr, Deborah, "Law in Action: Burkina Faso Filmmaker Idrissa Ouedraogo's 'Tilai'," in New Statesman & Society (London), 22 February 1991. Andrade-Watkins, Claire, "Yaaba, "in American Historical Review , October 1992. 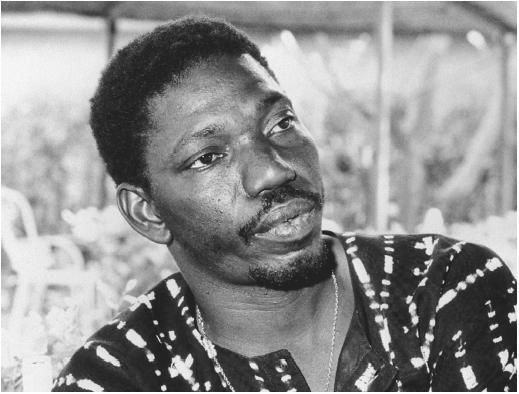 "Idrissa Ouedraogo," in Current Biography , May 1993. Kauffmann, Stanley, "Samba Traore," in The New Republic , 4 October 1993. Pfaff, Françoise, "Africa from Within: The Films of Gaston Kaboré and Idrissa Ouegraogo," in African Experiences of Cinema , edited by Imruh Bakari and Mbaye B. Cham, London, 1996. Idrissa Ouedraogo is one of Africa's most prolific filmmakers. His early films are remakable in their ability to communicate through imagery. Poko , Les Ecuelles ( The Wooden Bowls ), Les Funerailles du Larle Naba ( The Funeral of Larle Narba ), Ouagadougou, Ouga deux roues ( Ouagadougou, Ouga Two Wheels ), and Issa le tisserand ( Issa the Weaver ) appeal to a multi-lingual audience without using dialogue or voice-over narration. Although his subsequent films incorporate dialogue, Ouedraogo's talent for creating meaning with images remains a hallmark of his work. Ouedraogo's first commercial success, Yaaba ( Grandmother ), narrates the story of two young children who befriend an old woman wrongly accused of malevolent sorcery. This film exemplifies Ouedraogo's interest in the multiple ramifications of individual choices. It also demonstrates Ouedraogo's skill at adapting the poetics of African oral tales to contemporary cinema. Nwachukwu Frank Ukadike notes that Ouedraogo "fuses the neorealist penchant for eliciting polished performance from nonprofessionals with the African narrative tradition of the griot . . . as in the oral tradition, a story's interest and attraction for an audience depend upon how creatively a storyteller embellishes what he has heard or taken from his own experience." Ouedraogo's humor, wit, and keen sense of drama in Yaaba earned him international acclaim as an exceptional storyteller and filmmaker. Ouedraogo's second big success was Tilai ( The Law ). At the film's beginning, the protagonist, Saga, leaves his village. His life away from home is left out of the narrative, which speaks to Ouedraogo's commitment to rural life. Saga returns to find that his father has married the woman he loves, Nogma. Nogma and Saga decide to disobey the law and escape to another village. Saga's brother, Kougri, also refuses to follow his father's order to punish Saga with death. Ouedraogo sympathizes with young villagers' desires for change, but treats his elder characters with sensitivity. The film depicts the injustices of certain traditional laws in addition to the difficulties involved in defying them. At the same time, Ouedraogo deeply respects his country's cultures, and sides with their battles for self-preservation. Although Ouedraogo often critiques strict traditional laws, his love for his African heritage is clear in his films. His appreciation for African traditional life is expressed poignantly in Un cri du coeur ( A Cry from the Heart ). Here, a young boy named Moctar moves from his village in order to live with his middle-class parents, who have immigrated to France. Pained by his nostalgia for his village, and especially for his grandfather, Moctar has difficulty adjusting. When he has visions of a hyena on the streets, he alarms his parents, who hoped that France would provide Moctar with better opportunities. Un cri du coeur , like numerous African literary works, examines the affection shared between the older African generation and their grandchildren. When Moctar's hyena, a strong figure in African folklore, appears for the last time, it takes the form of his dear grandfather. In the context of African cinema, Ouedraogo's films have been especially successful. He is committed to filming the specific realities of his home country, yet his themes of fidelity, resistance, transformation, and the recovery of traditions have touched diverse, world-wide audiences.